Thank you to everyone who was able to join us at the Fondy Farmers Market Centennial Celebration & Fondy Park Grand Opening! Read all about the day’s events and see photos from this article from Milwaukee Independent. 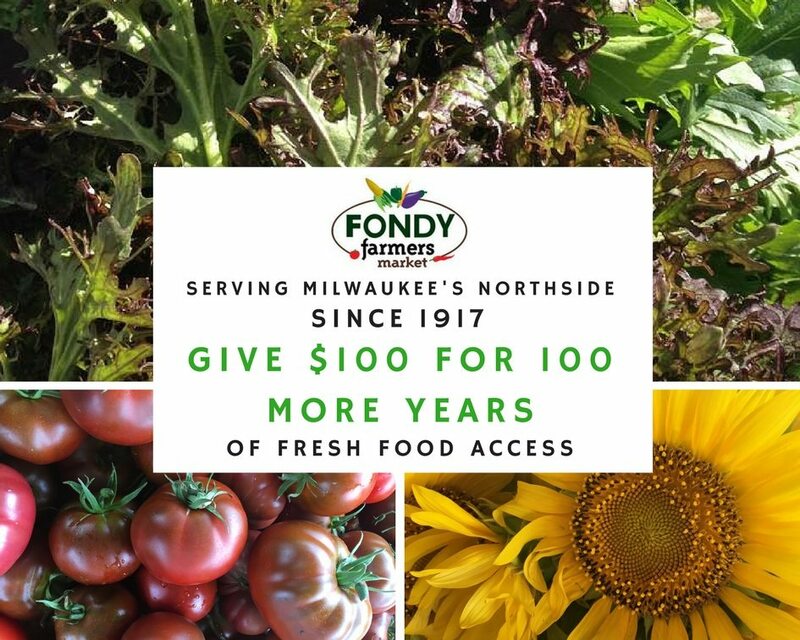 With a history that dates back to 1917, the Fondy Farmers Market has been ensuring the supply of fresh produce to Milwaukee’s Northside for a century. To celebrate this continuous fresh food access, Fondy is working with the City of Milwaukee’s Environmental Collaboration Office (ECO), Reflo, ReciproCITY, and many other partners, to transform the vacant lot next to the market into a new eco-park and community gathering space! And you can show your support for 100 more years of good food for all by making a gift today.